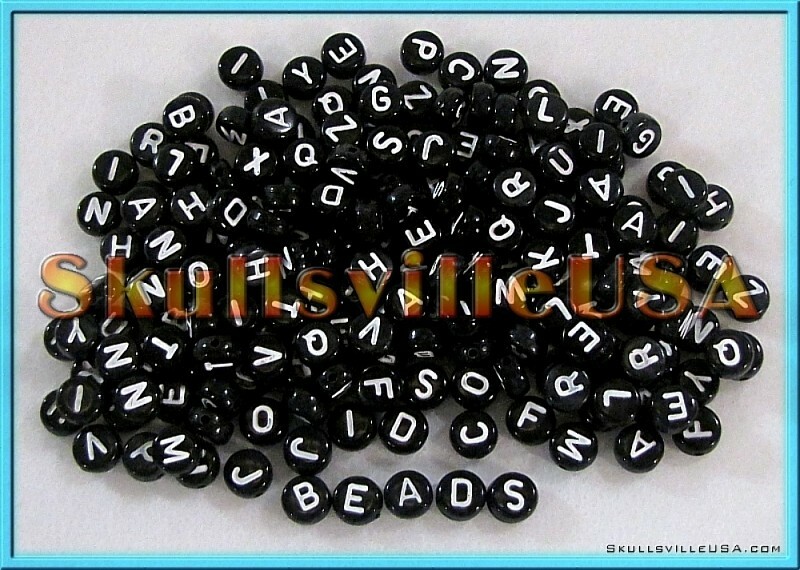 with or without your favorite skull beads. and other choice materials from all over the world. 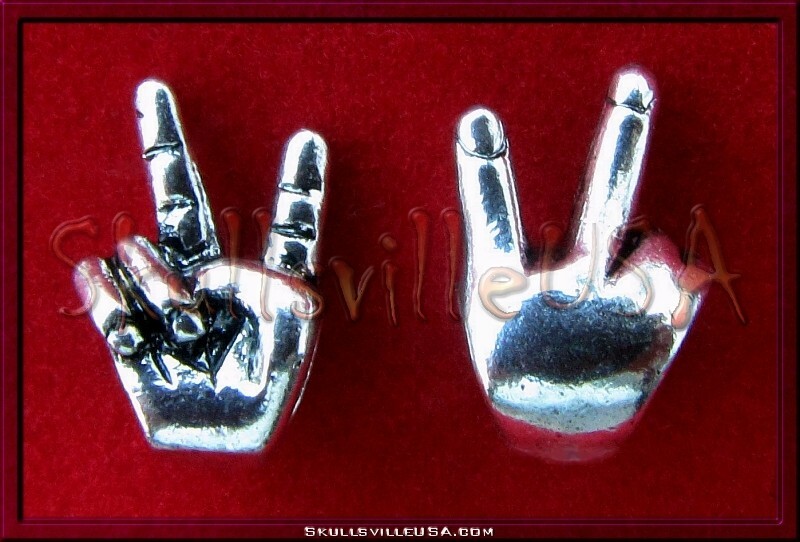 and bring peace of mind to the person wearing it. and will safeguard your health and fortune. 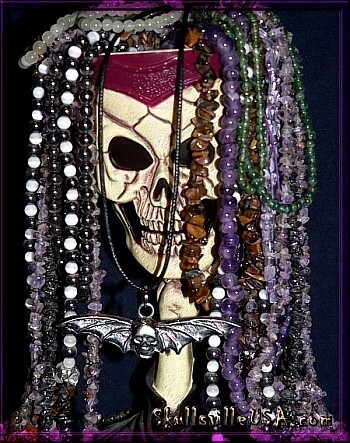 but these exceptional beads are made of resin. Beading hole is about 2mm wide. 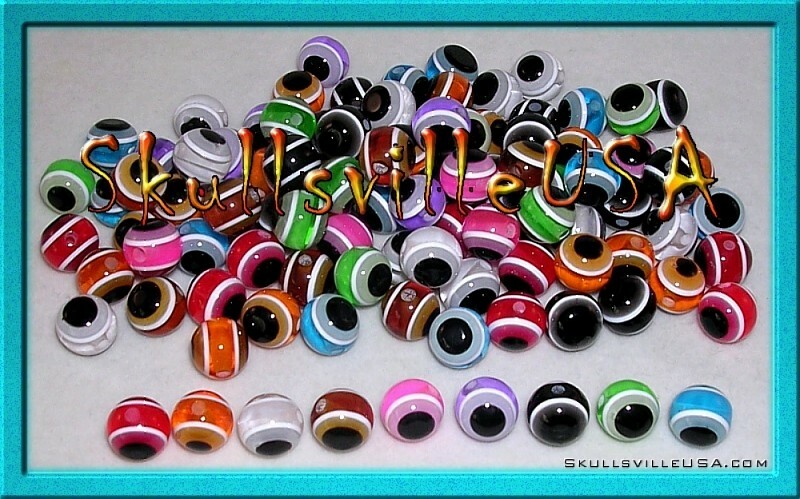 but they're made of resin, and come is assorted vibrant colors. 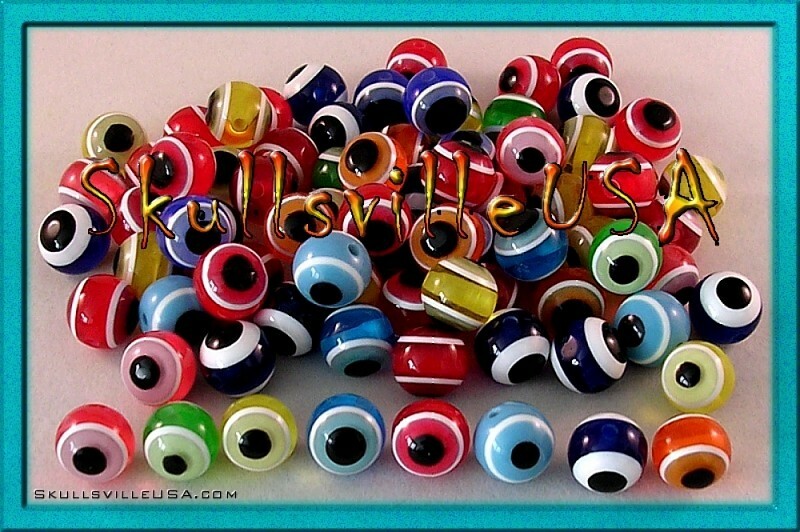 Add 10mm Evil Eye Beads in assorted colors! 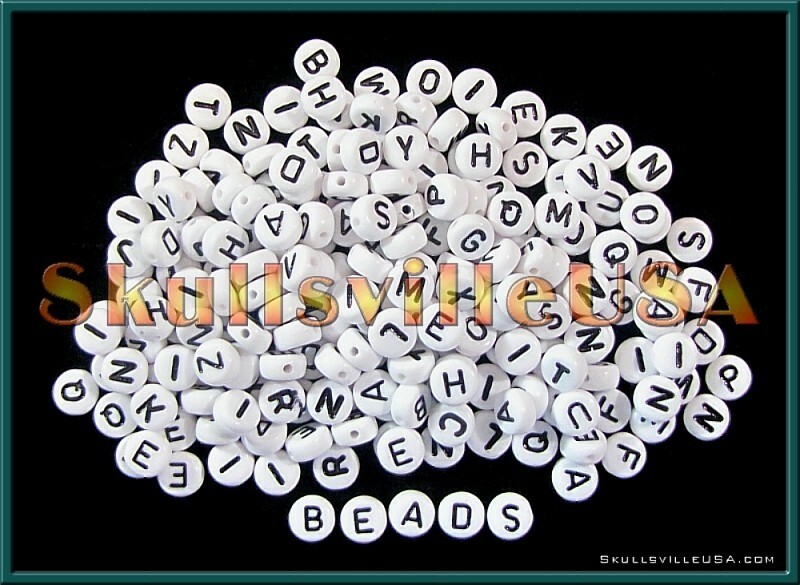 Each bead is about 7mm wide and the letter is on both sides. Beading hole is about 1mm wide and runs from side to side. 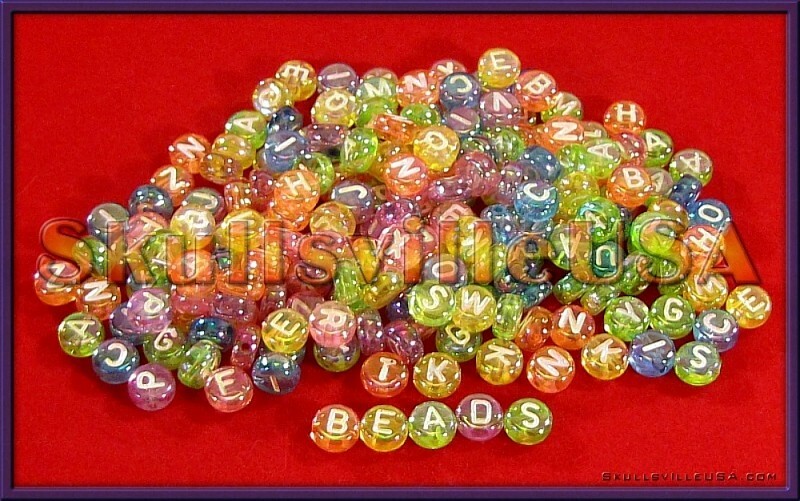 Each lot contains 200 assorted beads. 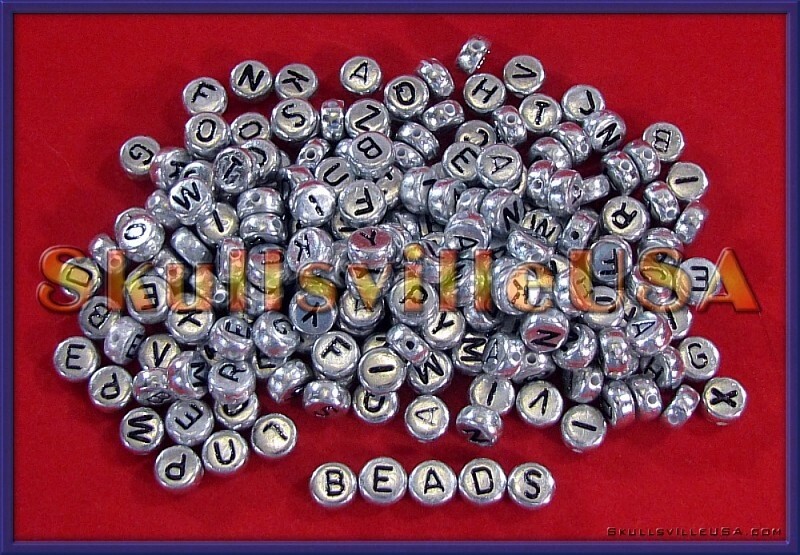 These slammin' beads are ready for action! 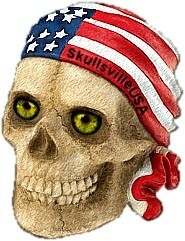 your creative skull comes up with. have a beading hole of almost 5mm wide. Beading hole runs side to side.